Since our inception, clinical chemistry has been at the core of product development at Randox; as such, we are a world leading manufacturer of clinical chemistry reagents, controls and analysers. 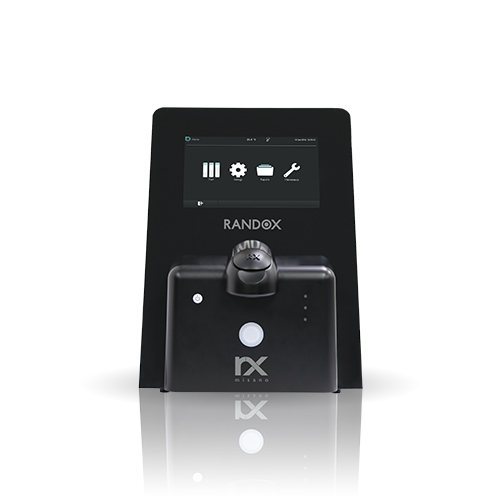 Randox offers an extensive range of third party diagnostic reagents which are internationally recognised as being of the highest quality; producing accurate and precise results. We have the largest test menu of 118 assays, covering over 100 disease markers including specific proteins, lipids, therapeutic drug monitoring, drugs of abuse, antioxidants, coagulation, diabetes and veterinary testing. A wide range of formats and methods are available providing greater flexibility and choice for any laboratory size. In addition to flexible pack sizes and a comprehensive list of analyser applications, we can also provide dedicated reagent packs (Randox Easy Read and Easy Fit reagents) for a wide range of chemistry analysers providing you with freedom of choice from an independent manufacturer. 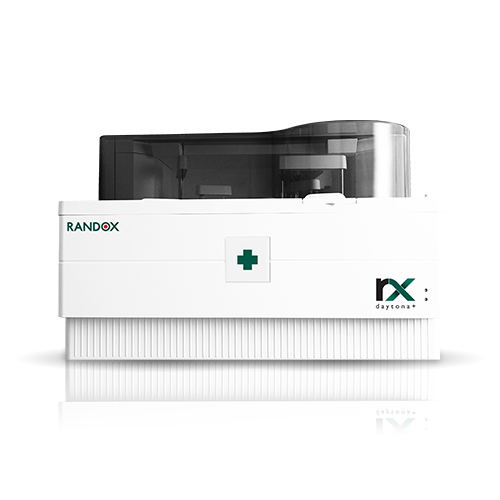 Patient care is the primary focus of clinical chemistry testing and Randox has developed the RX series of clinical chemistry analysers for high quality semi-automated and fully automated testing. 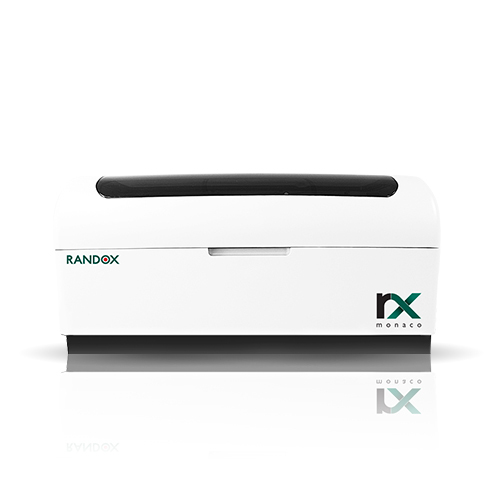 The RX series combines robust hardware and intuitive software with the world leading RX series test menu, including routine chemistries, specific proteins, lipids, therapeutic drugs, drugs of abuse, antioxidants and diabetes testing. Renowned for quality and reliability, the RX series has one of the most extensive dedicated clinical chemistry test menus on the market guaranteeing real cost savings through consolidation of routine and specialised tests onto a single platform. The RX imola is a cost effective system that delivers consistent high quality results. With a throughput of 400 photometric tests and up to 560 tests per hour including ISE, the RX imola provides rapid, comprehensive testing on a small footprint analyser. 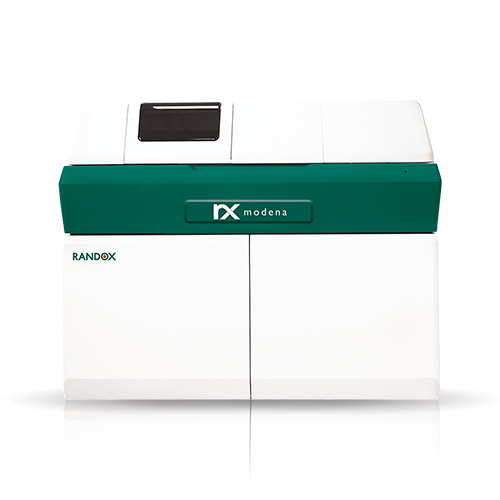 The RX imola is a fully automated system with random access and STAT sampling functionality, boosting productivity and saving time when it matters most. 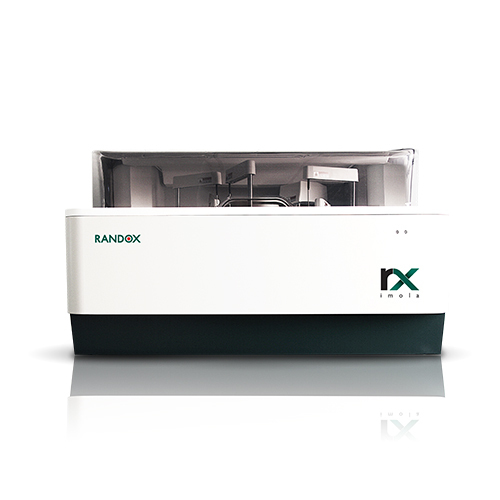 The RX modena is a high volume, floor standing, fully automated clinical chemistry analyser that promises to revolutionise your laboratory and transform diagnostics. Icon based, interactive touch-screen technology adds a modern flair to your laboratory. Capable of running up to 1,200 tests per hour, with direct HbA1c testing abilities, the RX modena consolidates all your assay requirements onto one intuitive platform, offering a winning combination for large, multi-disciplinary laboratories. A continuous loading hatch allows STAT samples to be analysed quickly and easily during each run.